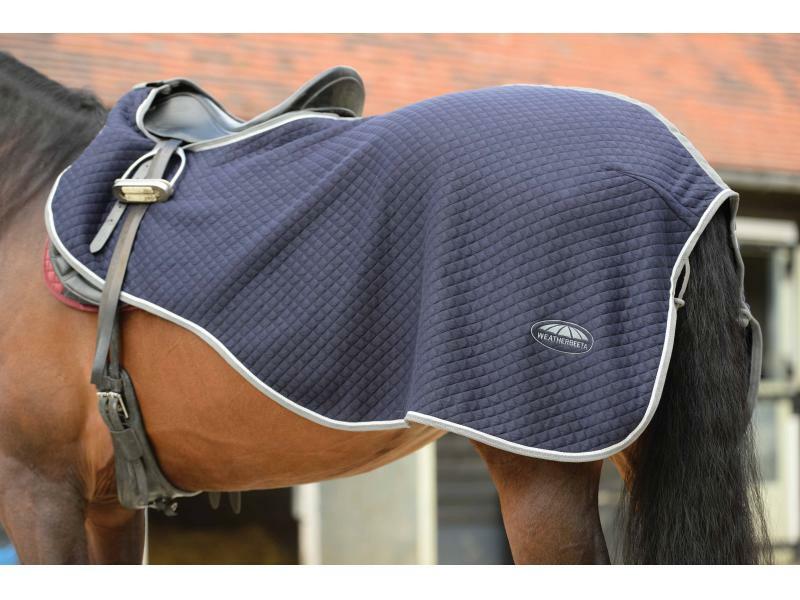 Multi-layered polyester knit outer that is warm and comfortable whilst able to wick away moisture. Touch tape at wither. Fillet string. 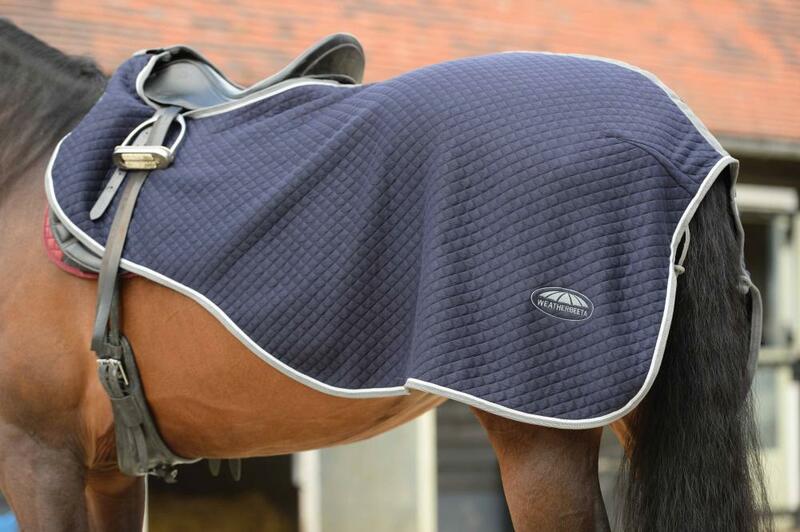 Multi-layered polyester knit outer that is warm and comfortable whilst able to wick away moisture. Below are some recent questions we've received regarding Weatherbeeta Thermic Exercise Sheet, including answers from our team. My pony is 14.2hh and is a cob, what size rug do you believe i should choose for him? Thanks for your question. If your horse takes a 5'3" to 5'6" rug he would need a 4'3" exercise sheet and if he takes a 5' 9" rug he would need 4'6" exercise sheet. Not sure as to what is the best size for my 12.2hh who's turn out rugs are usually 4ft 9? ?